Dubai: Japan may go in as the favourites in their 2019 AFC Asian Cup quarter finals against Vietnam on Thursday, but coach Hajime Moriyasu is taking nothing for granted ahead of the key clash at Al Nasr’s Al Maktoum Stadium. 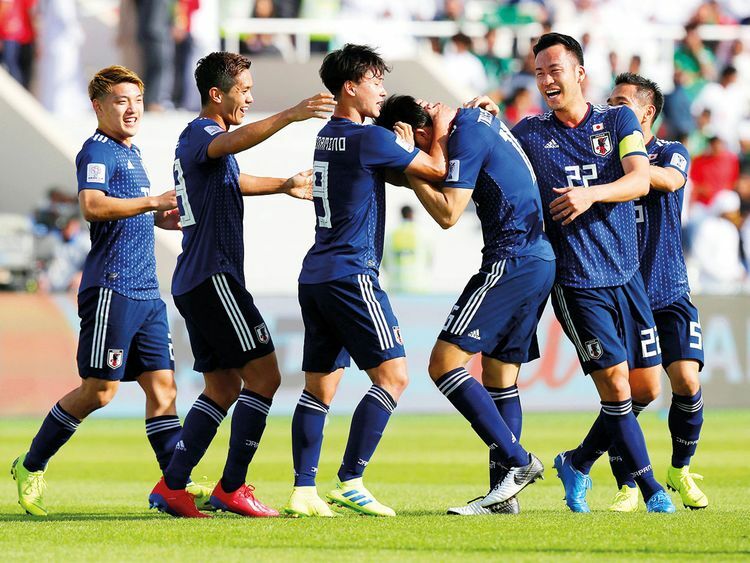 Tomiyasu Takehiro struck the lone goal as former four-time champions Japan knocked out three-time winners Saudi Arabia in Sharjah while Vietnam had dug in deep to stun pre-match favourites Jordan via the tie-breaker in their Round of 16 matches earlier this week. “Things can be tough as we are playing just two days after a tough match against Saudi Arabia. But this is the tournament schedule and we can hopefully be mentally and physically prepared for a tough and tricky team like Vietnam,” Moriyasu told media before Thursday’s opening quarter-final. “Japan is here with the aim of winning this tournament but we need to continue our development as a team. I would prefer taking it one match at a time and hope that my players will continue learning and developing with each game. No doubt tomorrow will be tough, but I think we will be able to carry forward this confidence and self-belief from the past four matches,” he added. Since 1988, Japan have qualified for eight successive tournaments including this one, making them one of the most consistent teams at the AFC Asian Cup. Their fourth and last success was in 2011 when the competition was held in neighbouring Qatar. The Samurai Blues lost in the quarter-finals at the 2015 edition held in Australia. Very much the underdogs, Vietnam coach Park Hang-seo refused to make any excuses. “We are here to compete and even though we know we can expect a tough and aggressive Japan to attack us from the start, we will not be easy opponents as we too want to continue our winning momentum and advance to the next stage,” Park said. “Definitely, this will be a hard moment, but also an opportunity for us to prove ourselves against a tough team like Japan, who have ten from the playing eleven employed as professionals in the leagues of Europe. But I noticed a big difference in the Japan that played Uzbekistan and Saudi Arabia and I think we can exploit these weaknesses,” he added. Park also refused to be overawed by the occasion. “Japan are one of the best and despite their better technical ability to play, we still have to play and win. There can be no excuses,” the coach from South Korea insisted. “Japan will be very aggressive and strong from the start and we could suffer. Not many expect Vietnam to win, but we have a plan in mind and we will be there fighting till the end in the war against Japan,” he added.